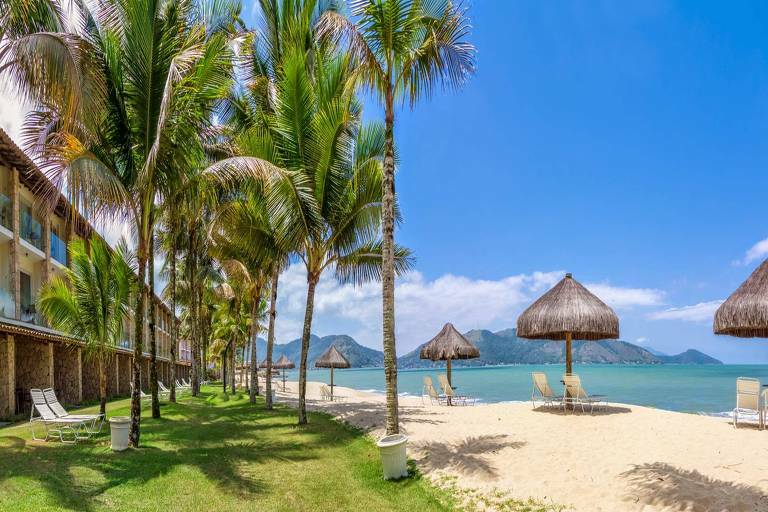 See some Brazilian resorts are a great option to spend Carnaval away from the hustle and bustle. The ones below are all-inclusive, and there are choices for travelers eager to stay close to the sea and to those who would like to check out other kinds of landscapes. 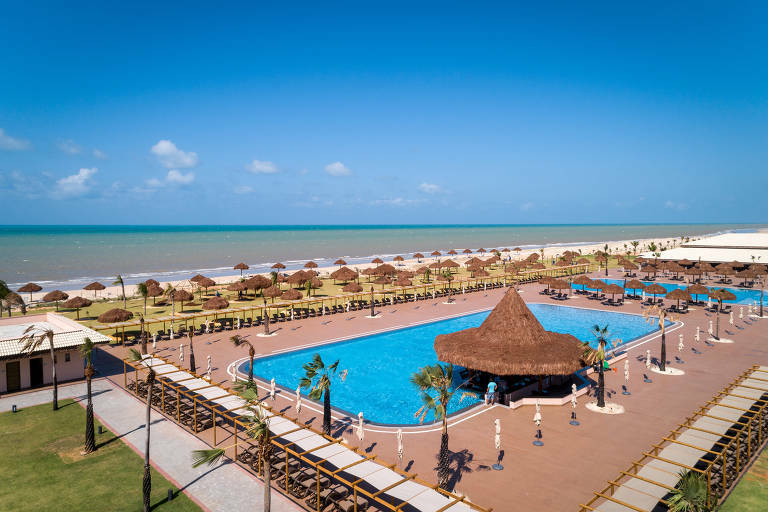 This resort, located at a quiet beach dotted with coconut trees, is only 55 miles away from Salvador and is near other famous Northern Bahia beaches like Praia do Forte e Praia do Sauípe. 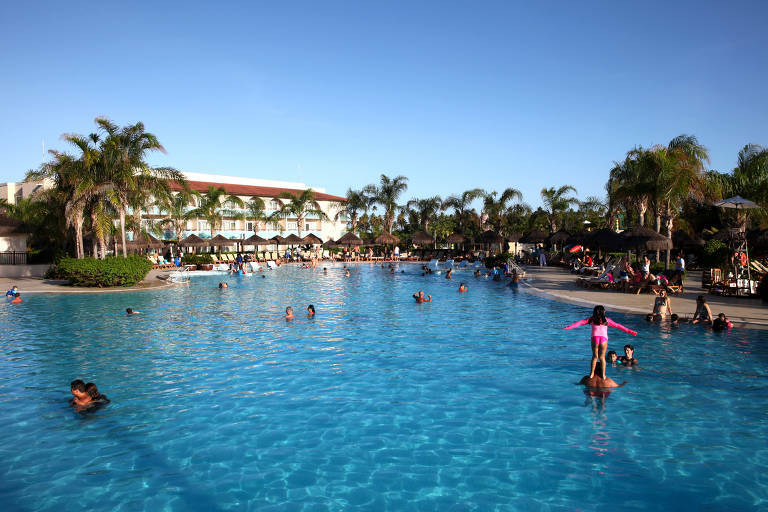 Guests can take scuba diving, tennis and Zumba lessons, relax at the spa or have fun at its water park. There are six restaurants, with one of them offering a Mediterranean menu. The stay between 3/1 and 3/6 starts at R$ 7,399.14 (US$ 2,000 - local price) for a couple in a double room. This resort has it all: mountains, beaches, river, islands and even a safari. Portobello houses a sanctuary with 500 animals, like llamas, alligators and emus. Tourists can catch a glimpse of them by riding a jeep inside the resort's premises or spend their days enjoying waterfalls, swimming pools, horseback riding or doing spa treatments. Carnaval packages start at R$ 10,150 (US$ 2,770 - local price) for a couple and two children up to 12 years old, in a double room, from March 1st to the 6th. 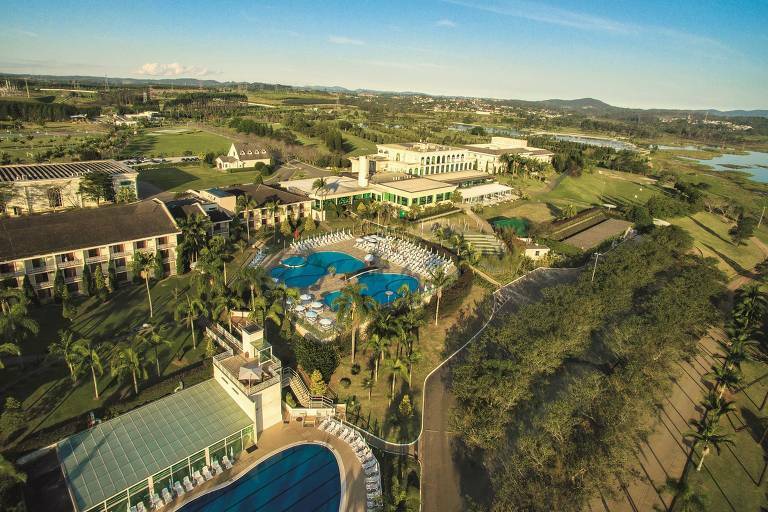 This resort by the Taiacupeba dam, near São Paulo, offers treetop walkways and sports like golfing, sailing, stand-up paddle, kayaking, soccer and tennis. The rates for five nights in late February start at R$ 5,448 (US$ 1,500 - local price) for a couple with one child. 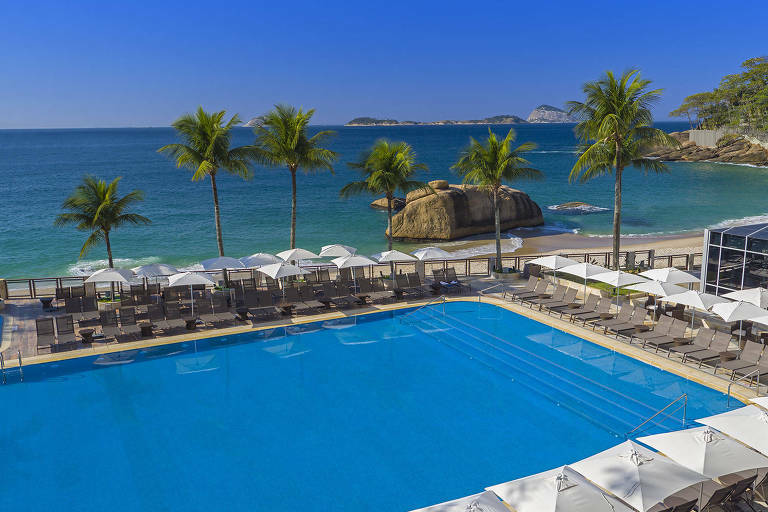 Located at the ritzy Leblon neighborhood in Rio, this resort has rooms with a great seaside view, as well as swimming pools right by the beach. It also features a spa and a gym. Five restaurants offer Italian, French and Brazilian dishes. Carnaval rates start at R$ 1,250 (US$ 340 - local price) per night, plus fees, in a double room and breakfast included. Guests here can enjoy not only the resort but also the incredibly beautiful Touros beach, with its dunes and natural seawater pools. There is also a spa, six restaurants and three bars. Packages start at R$ 5,372 (US$ 1,466 - local price), of four nights in a double room, for two adults and one child up to 12 years old. 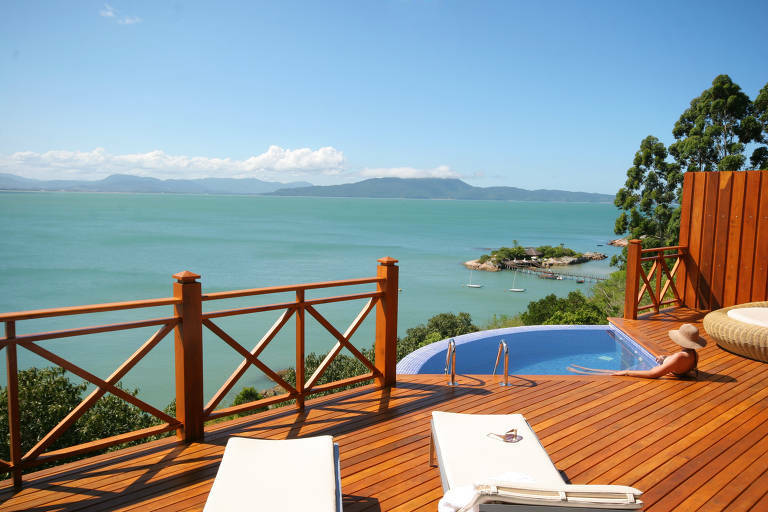 Forest trails, a small beach, movie theater, swimming pool and yoga lessons help couples relax in this exclusive Santa Catarina resort. Four nights start at R$ 19,400 (US$ 5,300 - local price) for a double bungalow with a sea view. 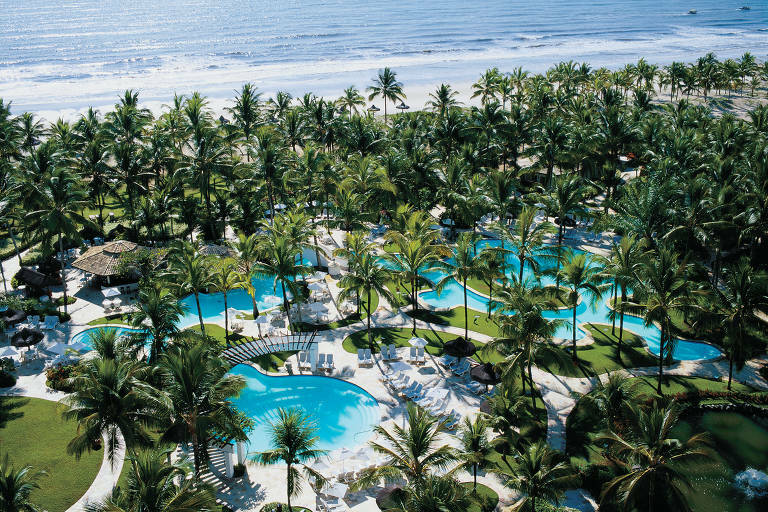 This resort at Comandatuba island, southern Bahia, features a grand 13,000-square-foot swimming pool with a waterslide, spa, golf course and seven restaurants. Rates start at R$ 21,723 (US$ 6,000) from 3/2 to 3/9 for a couple with two small children. The package includes airfare.